Back in the darkest days of my PhD, I started blogging extracts from the thesis as it was being written, particularly the literature review. It helped keep me motivated when I was at a very low point, and seemed to be of interest to readers who were unlikely to read the whole 300-page PDF or indeed the publications. Possibly because of the amount of useful terms in the text making them very Google-able, these remain extremely popular posts on this blog. So I thought I would continue, not quite where I left off, but with a few extracts that might actually be of practical use to people working on design, new ideas, and understanding people’s behaviour. The article below is not intended to be a comprehensive review of the field, but was focused specifically on aspects which I felt were relevant for a ‘design for behaviour change’ toolkit, which became Design with Intent. I should also note that since the below was written, mostly in 2010-11, a number of very useful articles have collected together toolkits, card decks and similar things. I recommend: Venessa Miemis’s 21 Card Decks, Hanna Zoon’s Depository of Design Toolboxes, Joanna Choukeir’s Design Methods Resources, Stephen Anderson’s answer on this Quora thread, Ola MÃ¶ller’s 40 Decks of Method Cards for Creativity, and Public Policy Lab’s list of Toolkits for Public Service Design. I’m sure there are others. The view of design as being entirely about ‘problem-solving’–which, at its most mechanistic, is ”basically a form of means-ends analysis that aims at discovering a process description of the path that leads to a desired goal”–as espoused by Simon (1969/1981, p.223, and to some extent in the above quote), has become unfashionable in design research, and not just because of the implied lack of creativity in the process. 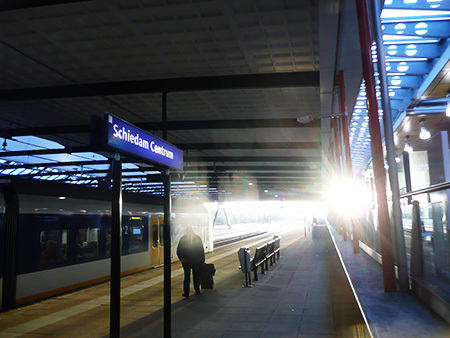 In particular, the reaction against the ‘problem-solving’ view follows SchÃ¶n’s (1983) concept of The Reflective Practitioner, whose “inquiry is not limited to a deliberation about means which depends on a prior agreement about ends. He does not keep means and ends separate, but defines them interactively as he frames a problematic situation” (p.68). 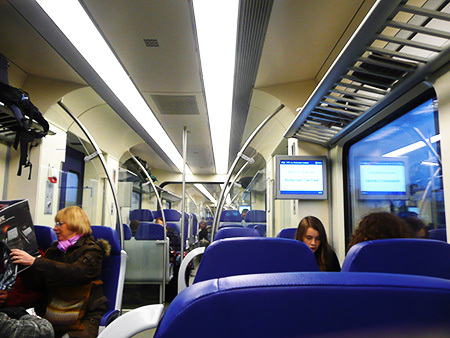 Dorst and Cross (2001) give the example of a workshop participant asked to redesign in-train litter bins for Dutch Railways (NS) who asks whether simply making a hole in the floor for litter to be dropped through (or combining it with the toilet flush which works in a similar way) is valid within the scope of the brief. They use Cross’s (1997) idea of the formation of ‘bridges’ between problem and solution as the ‘creative leap’ which pairs one representation of the problem with a solution, suggesting that “creative design involves a period of exploration in which problem and solution spaces are evolving and are unstable until (temporarily) fixed by an emergent bridge which identifies a problem-solution pairing. A creative event occurs as the moment of insight at which a problem-solution pair is framed” (Dorst and Cross, 2001). Pragmatically–and dependent on the semantic preferences of those involved–it is arguable that problem-framing is part of problem-solving. The process of interrogating a brief, stretching and testing the boundaries of what is being asked and what will count as a solution, is an integral part of addressing the problem, rather than being a distinct activity. Paul Rand said that “[i]deas may also grow out of the problem itself, which in turn becomes part of the solution” (Heller et al, 1998), and this is a proposition also found within TRIZ (see below), ‘systems thinking’ in general, and specifically within Edward de Bono’s work. 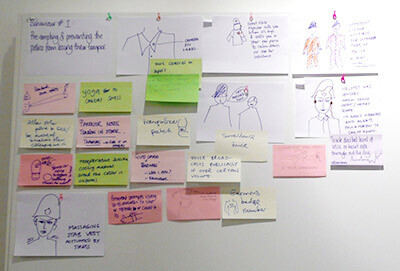 Both within and without `design’, a variety of `creative thinking’ techniques are commonly used to generate novel ideas as part of problem-solving processes, often in group workshops, but also individually. While this review cannot hope to do more than scratch the surface, some which potentially offer relevant insights to the subject at hand will be discussed. The field comprises a mixture of academic and popular literature, and many techniques have become generally familiar, and evolved through use, without their `authorship’ remaining clear. As Gray et al (2010, p.xvi) put it, “[t]he practices live in a mostly oral culture, passed along from person to person by word of mouth. For example, a consultant uses an approach with a client, and the client begins to employ that approach internally. Over time… it evolves into something quite different, and… the source of the original idea or approach may be lost”. One of the most comprehensive online resources on the subject, Jack Martin Leith’s Compendium of idea generation methods, is no longer available, but a version of the site (Leith, 2005) retained on the Internet Archive, contains over a hundred categorised methods. Most of the methods considered relevant to this thesis are what Leith calls `springboards’ (drawing on the use of the term in Synectics)–those which involve the use of an external stimulus to trigger new thinking. It is noteworthy that a number of the lateral thinking examples de Bono gives across his books are specifically concerned with influencing people’s behaviour and addressing a wide range of societal issues. For example, influencing behaviour for commercial benefit is embodied in the the anecdote (de Bono, 1993, p.6) about an Australian payphone operator which needed to offer fixed-cost local calls to remain competitive with rival operators, but wanted callers to spend less time on those calls so that the telephones were made available for other customers; so the story goes, the operator decided to increase the weight of the telephone handsets so that longer calls became tiring (subconsciously or otherwise), limiting the length of calls made. 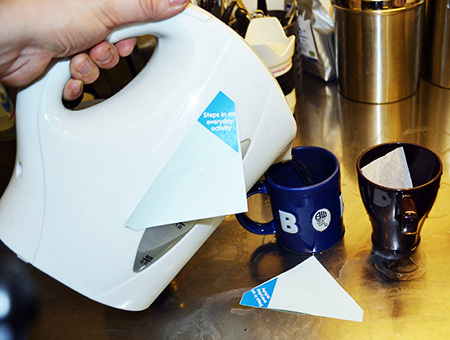 Corporate behaviour change for environmental benefit is also included, for example with the idea (e.g. de Bono, 1976, p.146) that a factory taking in river water and discharging (dirty) water back into the river “should be downstream of itself”, i.e. planners should force the water intake pipe to be downstream of the water outlet pipe, thus making it in the factory’s best interests not to discharge polluted water. Among the methods de Bono suggests for lateral thinking, including particularly those suited for finding “different ways of looking at things” are: simple focus, a deliberate effort to pick out a new focus point for a problem (de Bono, 1993, p.92); the creative challenge, a forced questioning of the current way things are done; and the concept fan, a method of repeatedly `pulling back’, abstracting the problem implied by a search for alternative solutions, such that the need for a ladder is restated as the need to be raised above the ground, in turn restated as the need to reduce the distance between the person and the ceiling, and so on, with each abstraction suggesting a greater range of possible solutions (de Bono, 1993, p.129). 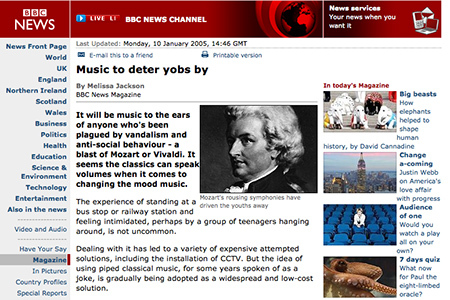 Many of de Bono’s techniques centre on the idea of provocation, in particular, finding ways of intentionally provoking new ideas through methods ranging from the simple random input (juxtaposing two seemingly unconnected concepts  to trigger new ideas as a connection emerges–this is an expression of `the use of chance’ as mentioned above (de Bono, 1993))–to more structured methods such as using reversal, exaggeration and distortion of ideas as part of a stepping-stone process to examine and alter the given problem. The concept of PO (de Bono, 1972) was introduced as a marker to signify that a deliberately provocative (perhaps superficially absurd) suggestion follows, not necessarily to be adopted as a valid solution in itself, but as a trigger to help think of alternative solutions. For example, “PO, cars should have square wheels” leads to thinking about the possibilities of adaptive suspension systems (de Bono, 1993). This kind of prompt potentially has application in helping designers shift problem frames (see above) implied by a brief: ”[e]ven if an idea is wrong in itself it can serve as a starting point for a new line of thought or as a stepping-stone to get from one idea to a new one” (de Bono, 1976, p.146). In some circumstances, it is easy to imagine that it could suggest behaviour change (rather than solely technology change) as an approach in the first place, by introducing the idea that people should change rather than a product changing (or vice versa). 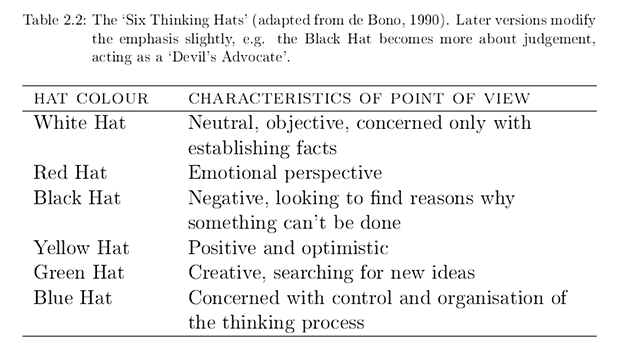 One of the most structured creativity techniques applicable to idea generation described by de Bono is Six Thinking Hats (de Bono, 1990 ). 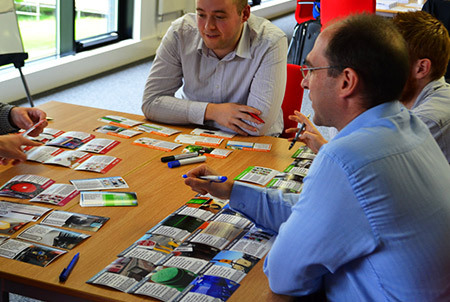 The idea here is to put members of a group–as part of a meeting or workshop–into a role-playing context, where the coloured hats (put on literally or figuratively) each enable the group’s attention to be directed to different points of view and aspects of the problems and ideas under discussion, and to switch gears between ways of thinking about a problem (`parallel thinking’). The role-playing context also allows participants to say things they might otherwise not feel comfortable expressing—“[w]earing the clown costume gives you full permission to play the clown” (de Bono, 1990, p.29) —including asking others to consider changing their point of view, since “[y]ou can ask someone to `take off the black hat for a moment’ more easily than you can ask that person to stop being so negative” (p.33). The table below summarises very briefly the characteristics of each hat. The details of the different perspectives triggered by the hats are general enough to apply to a wide range of meetings, workshops, idea generation and decision-making situations. 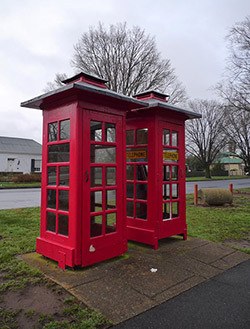 Independently, though, the concept of introducing a deliberate `prop’ to encourage taking different perspectives on a problem could be valuable for idea generation, particularly where there are issues which ought to be debated but which might not otherwise be raised. For example, an `ethical’ hat might be of value when considering behaviour change interventions. It might also be feasible for hats to represent the points of view of different stakeholders—a particular hat being put on to represent the `voice of the user’, a different one to represent the `voice of the shareholders’ and so on. For Baron (1994, p.72), an additional advantage of deliberately taking multiple viewpoints on a problem is that “it is more likely to remind you of the critical information that you need to solve it”, i.e. that multiple views also help ensure that relevant information is not missed. Perhaps one of the most useful implications of the concept for an idea generation process which seeks to generate a large quantity of ideas (see below) is that switching hats (of whatever form) could re-start the inspiration process when it starts to dry up, explicitly introducing alternative sets of ideas or viewpoints. The Design with Intent `lenses’ follow this approach. 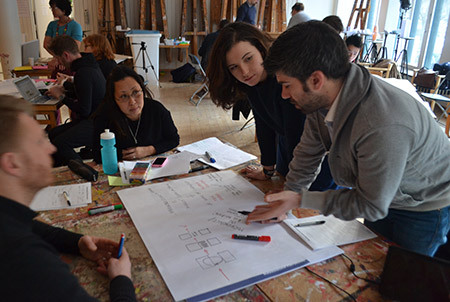 Moving more specifically towards product design, two verb-based idea generation techniques are particularly relevant. While arising from different contexts, they overlap in content. 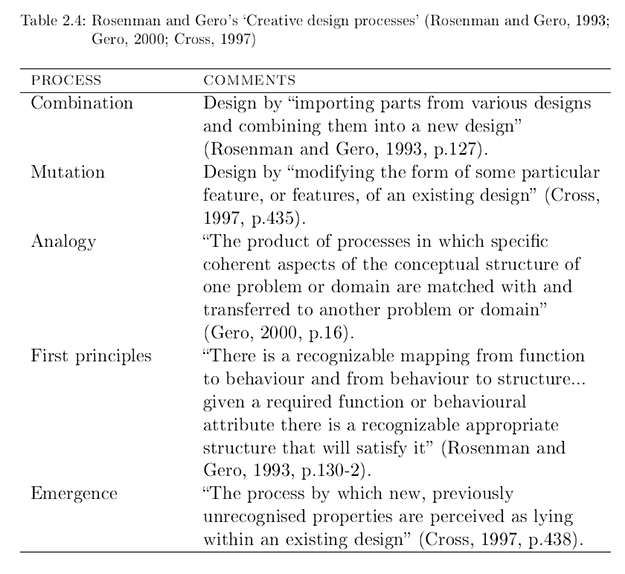 Rosenman and Gero (1993) and Gero (2000) arrive at a partially similar list of processes (table below), but from the perspective of examining idea generation behaviour by designers and extracting descriptions of the processes (also presented as applicable in an artificial intelligence context), rather than offering them explicitly as inspirational triggers. Gero’s (2000) definition of analogy is somewhat similar to what I have identified with Design with Intent as transposition of design principles between disciplines. The active provocations offered by Eberle’s approach are more immediately suited to triggering idea generation, but formal descriptions of principles as given by Rosenman and Gero have value in providing a reference of techniques which could be consulted as a reflective part of the idea generation process, in a similar way to Alexander et al’s patterns (see part 2 of this post). Hence, both of these possible approaches are worth considering as relevant directions for Design with Intent. Aside from the form of the processes, the content itself may have direct relevance to the behavioural context. If “people’s behaviours” rather than a product’s features are considered as the focus of each SCAMPER verb, what sorts of ideas might be suggested? 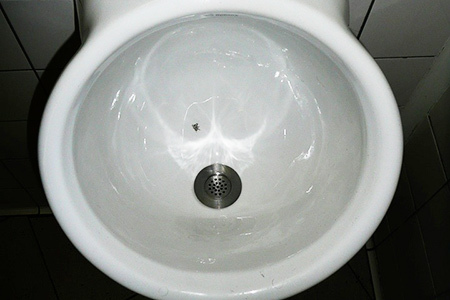 Can you design a product which `substitutes’ an undesired behaviour with a desired one? One which combines behaviours to avoid an unwanted harm? One which adapts a behaviour which a person expresses in another context to the context for which you are designing? PÃ³lya’s How to Solve It (1945) is a guidebook for addressing mathematical problems, best known for popularising the term heuristic in the sense of a `rule of thumb’ in problem-solving. The `Short Dictionary of Heuristic’, comprising the main part of the book, offers 67 entries on aspects of, and approaches to, solving problems. The use of questions—“Do you know…? Could you imagine…?” and so on—is reminiscent of some of the provocation techniques mentioned earlier. Saffer (2005, p.10) sees metaphor use in idea generation as being about juxtaposition: “this is probably the easiest and one of the most fruitful way for designers to embrace metaphor use. All metaphors are, in a sense, juxtapositions in that two different things are put together to form a construct that highlights (and hides) different characteristics of each. Finding any inherent metaphors in the problem space is therefore probably a useful activity.” This last point about helping to define and structure the problem space is echoed by Leclercq & Heylighen (2002, p.287), who suggest that drawing analogies “can bring forth valuable knowledge from a known situation… to the ill-defined design situation at hand”. One design approach where analogical transfer is commonly applied in idea generation and problem-solving is biomimetics or biomimicry—making use of biological systems as models and inspiration for technology. 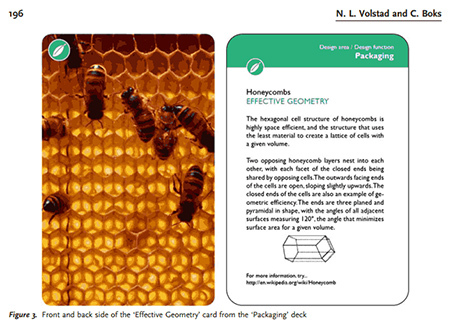 Combining biomimetics with TRIZ (see below) to produce BioTRIZ offers a structured way of generating possible biologically inspired solutions for problems (Vincent and Mann, 2002; Craig et al, 2008), but there are also other idea generation methods based on applying biomimetics, such as Volstad and Boks’ (2008) `Biomimicry Card Deck’, intended to help packaging designers generate ideas for novel packaging concepts drawing on biological principles. It is conceivable, if a somewhat romantic vision, that the biomimetic approach to design—learning from a vast reservoir of solutions to problems, and finding ways to apply them in other contexts—could be seen as a model for how to develop `design for sustainable behaviour’ as a field, treating human history and culture as a reservoir of behavioural insight to adapt and transpose to a design context. It does, however, seem reasonable to suggest that “idea creation by analogical transfer” (Stacey et al 2009, p.362; Tseng et al 2008) might be most effective where the examples used make it easy for designers to see how the principles can be applied elsewhere—in a similar way to biomimetics—enabling “the ability mentally to stand back from the specifics of the accumulated examples, and form more abstract conceptualizations pertinent to their domain of expertise” (Cross, 2004, p.432). As part of Design with Intent, an emphasis on example implementations of principles–“previous instances of design elements in a variety of different situations” (Eckert & Stacey, 2000, p.527)–rather than simply descriptions of the principles themselves, should allow designers to explore the ideas and relate them to the problem at hand, even where the terminology is unfamiliar. Thus, if the guide is to help designers make use of metaphor and analogy, these need to be clearly illustrated through examples which are quickly understandable. A key concept in idea generation is the notion of divergent production, which Guilford (1967, p.213) defines as “generation of information from given information, where the emphasis is upon variety and quantity of output from the same source; likely to involve transfer,” as opposed to convergent production which would involve reaching a single `right’ solution to a problem. While the `output from the same source’ criterion might be interpreted in a number of ways, the approach of trying to generate as many different ideas as possible is familiar from the process of brainstorming. 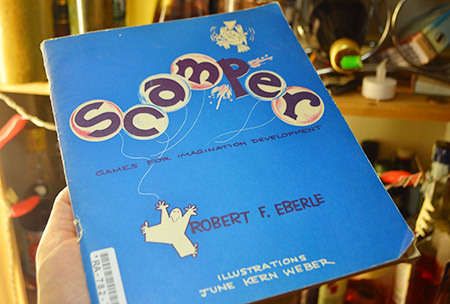 Osborn (1953)—a co-founder of advertising agency BBDO—introduced the process as “a formal and systematized approach to a fuller utilization of the creative imagination” (p. vii), offering a set of rules and recommendations for how to `ideate’ in group conferences or workshops which have been widely adopted (and mutated) since, to the extent that `brainstorming’ has become a generic term for many different kinds of idea generation, both in groups and individually. A significant part of the appeal of Osborn’s work must be his optimism and confidence that everyone can be creative: the book (Applied Imagination) makes the “universality of imaginative talent” clear and exhorts everyone to develop his or her creativity via exercises, games and puzzles. The book is somewhat reminiscent of Dale Carnegie’s How to Win Friends and Influence People (see a discussion of its relevance to design for behaviour change) in its mixture of anecdotes, positive encouragement and rules to follow. “Judicial judgment is ruled out. Criticism of ideas must be withheld until later. `Free-wheeling’ is welcomed. The wilder the idea, the better; it is easier to tame down than to think up. Quantity is wanted. The greater the number of ideas, the more the likelihood of winners. Combination and improvement are sought. In addition to contributing ideas of their own, participants should suggest how ideas of others can be turned into better ideas, or how two or more ideas can be joined into still another idea” (Osborn, 1953, p.300-1). As Baron (1994, p.120) notes, much of Osborn’s approach centres on the argument that “a major impediment to creation is insufficient search for possibilities. If we are too self-critical during the phase of idea generation, it has been argued, we inhibit ourselves from thinking of our best ideas. We must overcome our inhibitions and ‘brainstorm’ before we criticize and select”. In the design industry, the most high-profile proponent of the brainstorming approach has been IDEO, which has evolved and tuned Osborn’s recommendations into its own set of `rules for brainstorming’, prominently displayed in company meeting rooms. It is difficult to assess formally how much use any idea generation method is, since most such methods are, in practice, used in contexts in which there can be no comparable control group. Few organisations are able to bring competing projects to fruition in parallel, and few of the ideas generated by any brainstorming process will ever be directly realised as a product or service, but as Sutton and Hargadon (1996) suggested in a major ethnographic study of IDEO’s brainstorming processes, the process provides the organisation with less quantifiable benefits, including providing skill variety for participants by exposing them to a diversity of ideas and approaches, and supporting the attitude of wisdom by providing a non-judgemental forum “for getting unstuck” through collaborative endeavour. 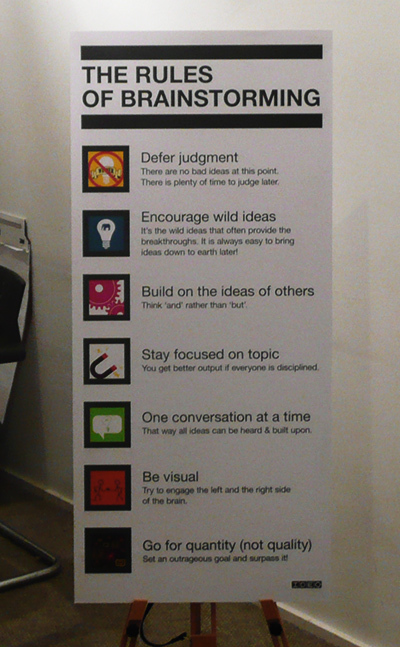 They suggest that attempts to assess effectiveness of idea generation in terms purely of quantity of ideas generated are too simplistic; nevertheless, IDEO’s rules of brainstorming are at least partly geared towards generating as many ideas as possible (including “Go for quantity (not quality): Set an outrageous goal and surpass it”)–drawing directly from Osborn’s recommendations. This implies that while not a direct proxy for effectiveness, quantity can be an important step on the way. Hence, comparison of the quantity of concepts generated using different methods can still be considered worth studying. The academic literature on the `productivity’ of brainstorming suggests that Osborn’s focus on groups `outperforming’ individuals may have been erroneous (Furnham, 2000). Interaction effects within differently constituted groups can be responsible for their collectively producing fewer ideas as a result of brainstorming than the individuals would have produced on their own. Phenomena such as production blocking (Diehl & Stroebe, 1987), and social loafing (Robbins, 1995) may lead to less productive sessions. It is also worth noting that recommendations for successful brainstorming (e.g. Wilson, 2006) often include the idea of a ‘warm-up exercise’ using a problem not directly related to the one intended for the main exercise, suggesting that participants may need some time to become `fluent’ in their idea generation. However, as Sutton and Hargadon imply, there are other benefits from group brainstorming that may be desirable for the situation at hand. Expertise may be transferred between participants with different specialisms (which may be particularly important in a design context where the designers are not necessarily subject matter experts on the domain they are addressing). Group activity may be a chance for other stakeholders’ perspectives to be heard (and feel that they have been heard). 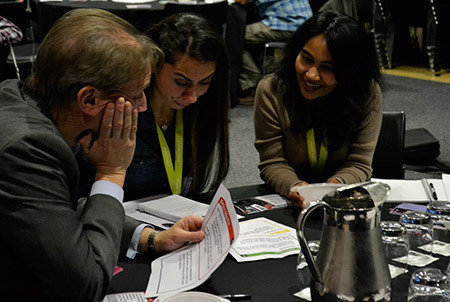 For example, in urban planning, a design charrette refers to a session where multiple stakeholders (including members of the public) are brought together to address an issue (e.g. Condon 2008), including brainstorming. The implications of these issues for the development of the idea generation guide are probably that such a guide needs, ideally, to be usable either individually or in a group situation, and, again ideally, needs to be flexible enough to allow different groups of stakeholders to make use of it on an `equal footing’ with each other, rather than being focused entirely on one group as the users. 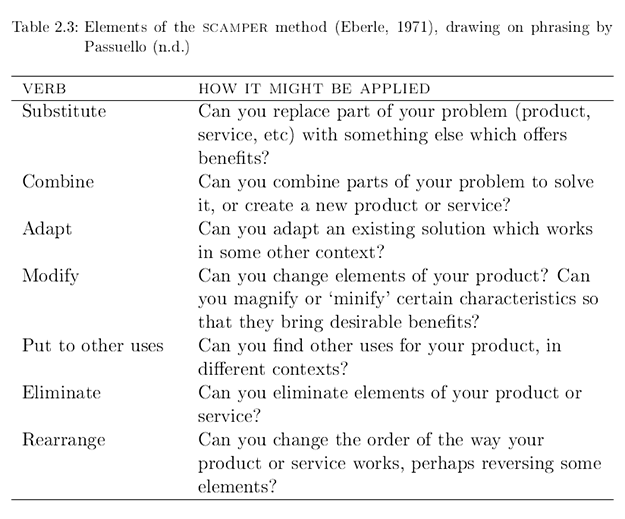 Although Osborn recommended the use of questions to spur ideation as part of the brainstorming process (some of his example questions were developed into SCAMPER—see above), many brainstorming exercises, at least in the author’s experience, do not use any explicit stimulus or provocation material beyond the problem itself and whatever background information is available. In this sense, an idea generation guide or toolkit is already enabling a slightly different form of brainstorming, although whether it would be more likely to increase the productivity of a session or restrict the ideas generated to only those derived from the guide is something that would need to be investigated. One of the most structured systems for idea generation and technological problem solving that is available to designers is TRIZ (teoriya resheniya izobretatelskikh zadatch: theory of inventive problem solving). Developed in the early post-war Soviet Union by Genrich Altshuller and colleagues—and publicised in the West mainly from the early 1990s onwards (e.g. Altshuller, 1994)—TRIZ comprises a family of tools which draw on a database of principles and relationships extracted through analysis of, initially, tens of thousands, and by now, “millions” of patents (Gadd, 2011, p.101). The idea is that “[s]omebody someplace has already solved this problem (or one very similar to it.) Creativity is now finding that solution and adapting it to this particular problem” (Barry et al, n.d.). Jones (2003, p.140) provides a `Map of TRIZ’, grouping a variety of TRIZ tools according to their function within the innovation process. She distinguishes between problem analysis (or situation analysis) tools (such as working out what kinds of contradictions are occurring) and solution tools (such as the Contradiction Matrix itself—see below). Following the `Prism of TRIZ’, the problem analysis tools are used to generalise the problem, abstracting it to a form to which TRIZ offers generic solutions—the 40 `Inventive Principles’, such as SEGMENTATION, PERIODIC ACTION, PHASE TRANSITION and THE OTHER WAY ROUND, which are `suggested’ by the contradiction matrix or table of `separation principles’. One of the most fundamental ideas in TRIZ is what Gadd (2011) calls the `Prism of TRIZ’ (see diagram), although it goes by a number of other names (e.g. Straker and Rawlinson, 2002, call it `Getting over the invention wall’). The diagram represents a process of translating a specific problem into a more abstract general problem for which general solutions are known, then re-translating that general solution into the context of your problem, resulting in a specific solution. The specific problems may be disparate, but on some level they are instances of general, recurring problems which exist in the world, and which someone has solved. Straker and Rawlinson (2002, p.78) suggest that this is in fact “similar to how people normally approach many situations”, but the explicit step of abstracting a specific problem into a more general one is not necessarily a common way to think in everyday life. The first step is not simply PÃ³lya’s “Do you know a related problem?” (see above) but something more like “Can you describe the problem in an abstracted form?”—essentially a process of modelling a situation. Altshuller’s approach—which Craig (2008) suggests has much in common with Marxist dialectic—was to see all problems as arising from contradictions between desired states. In TRIZ these are classified as technical contradictions (where “[w]e think of a solution to improve something but something else gets worse”), for example making a structure stronger makes it heavier, and physical contradictions, where “[w]e want opposite solutions—for example, high and low” (Gadd, 2011, p.102-4), such as a blacksmith wanting a horseshoe to be hot enough for the metal to be worked, but cold enough to be able to hold and manipulate it (Straker and Rawlinson, 2002, p.82). Solving physical contradictions involves separating when and where each condition or solution is present—in time, space, scale or on particular conditions—and this is done via consulting a table of `separation principles’ which suggests particular relevant Inventive Principles. Each technical contradiction is described in terms of two of 39 abstract `technical parameters’, for example `strength’ (no. 14) and `weight of stationary object’ (no. 2)—as we make something stronger, it is becoming heavier, but we don’t want this—and then the Contradiction Matrix, a 39 Ã— 39 matrix is consulted. This suggests, for each intersecting cell, up to four Inventive Principles that are relevant. For improving strength without worsening the weight of a stationary object, the matrix suggests COMPOSITE MATERIALS, COPYING, CHEAP SHORT-LIVING OBJECTS and SEGMENTATION. Each of these principles can then be considered in more detail (with examples) to see how it might be applied to the specific problem. The process of abstracting the problem to understand the contradiction(s) present, and hence selecting the parameters, can start in a number of different ways. For example, Jones and Harrison (2000) mapped TRIZ technical parameters to the five axes from Fussler and James’ Eco-Compass (1996), a commonly used tool for mapping changes in environmental impact of new and existing products, to enable this to be used as a starting point for the process (as well as to uncover whether TRIZ could be usefully applied in this context). As Craig (2008, p.40) puts it, in Altshuller’s view “a trade-off was resolved not by optimizing between two conflicting features, but by changing or adapting the system in some way so that both features could improve. For instance, a device may be made stronger and lighter by applying the principle ‘composite materials’”. A solution tends towards ideality when the benefits achieved are greater than the `costs’ and `harms’ entailed in the solution; ultimately, the system disappears entirely, the benefits tending to infinity as the costs and harms tend to zero. This implies the functions being delivered without the system existing at all—there are parallels here with the idea of dematerialisation in product-service systems, where a product is replaced augmented by a service which provides the same benefits without needing the same physical form. Mann and Jones (2002) apply TRIZ tools to the example of portable generators in this context. More generally, “[i]nnovation following this law of ideality could contribute to sustainable development, through the delivery of the functions without the environmental impacts associated with current systems of production” (Jones and Harrison, 2000). What can be usefully applied from TRIZ? What useful insights from (or features of) TRIZ can be applied to the `design for behaviour change’ guide? – The notion of a method—systematic but not formulaic, to use a phrase applied by Sato (2009) to `design thinking’ in general—which helps `prescribe’ a range of possible solutions drawing on knowledge and experience with analogous situations, is an appealing one. – The specific–abstract–abstract–specific arc (the Prism of TRIZ) perhaps provides a more formal description of the kind of analogical transfer discussed in a number of other idea generation and problem solving processes. – The `lookup table’ form of the contradiction matrix is interesting because it expressly suggests relevant Inventive Principles, building in a creative element, rather than stating unequivocally that there is a single right answer. – Craig (2008, p.45) notes that the Inventive Principles, being derived from analysis of patents across a number of technology domains, necessarily “resemble elements of the individual strategies used by expert designers in various disciplines.” This parallels the opportunity for an idea generation guide—that of a tool which can help designers learn from practice in other disciplines. Referencing SchÃ¶n’s concept of problem-framing (see above) and Bryan Lawson’s concept of `gambits’, Craig goes on to suggest that “[d]ialectical ‘contradiction-thinking’ can be seen as an explicit method for problem-framing, just as the Inventive Principles can be understood as a sophisticated set of ‘gambits’”. – On the other hand, the `certainty’ that may be implied by the philosophy of TRIZ—that there are definitely solutions to all problems, and that those solutions do not need to involve any compromises—does not sit easily with the notion of wicked problems in design, which may make it an uncomfortable perspective to designers working on social problems. While a number of these are familiar examples, not necessarily created using TRIZ, the implication is that they could have been, i.e. the method potentially provides for the creation of these kinds of solutions. However, people, and the different ways that people think and act, are not included explicitly in mainstream TRIZ. There is certainly the opportunity for a ‘BehaviourTRIZ’ to be developed, but we are to some extent lacking the body of formally recorded knowledge about behaviour equivalent to the patents that informed the development of TRIZ. We have no `patent database’ of human behaviour and the `solutions’ for influencing it. Human history, literature, politics—indeed, the entire sum of all cultures—is the resource we have, but it is not formalised through the use of claims as patents are, and is thus difficult to interrogate in this way. Equally, and perhaps most importantly, the heterogeneity and diversity of people’s lives and culture, and responses to social and contextual factors, do not sit easily with attempts to formalise people’s behaviour into a ‘lookup table’. A vast meta-analysis of meta-analyses, drawing together everything learned from human history that could be extracted as a `principle’ would be a significantly larger project than a PhD. Extracting insights from a limited number of mainly psychological disciplines, that have direct relevance to design (as it is intended that this series of working papers has done), is probably the most that can be hoped for, at least initially, together with limited use of some of the features of the TRIZ method identified above, where they are appropriate. All photos and diagrams by author except: Phonebox photo by Halans on Flickr, CC-licensed; Square-wheel trike by Stan Wagon; Social Design Tools table by Nesta; Screenshot from Polya’s How to Solve It; Screenshot from Nina Volstad and Casper Boks’s ‘On the Use of Biomimicry…’; Screenshot from TRIZ 40; Screenshot from BBC News. The tables are screenshots from Design with intent: A design pattern toolkit for environmental and social behaviour change by Dan Lockton. ‘Exploring problem-framing through behavioural heuristics’ explores some of the implications of this viewpoint for designers involved in behaviour change. Hey (2008) explores designers’ framing in detail in his PhD thesis, in the context of new product development, in particular how design teams negotiate a common frame for their design situation, and how this is matched to the needs of their potential users. 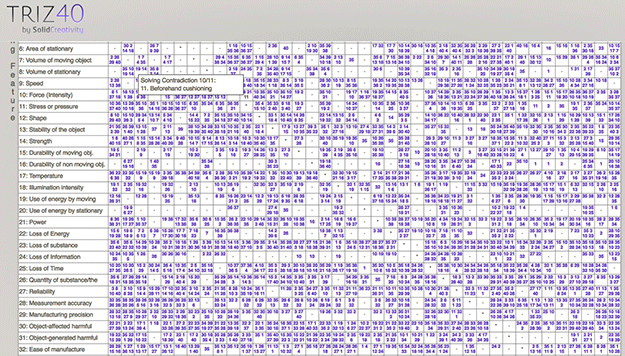 One is usually related to the problem under consideration, but the other is randomly drawn, e.g. from a dictionary. Straker and Rawlinson (2002) recount that King Gillette used an `Alphabet System’ where he listed every product he could think of beginning with each letter, as a way of triggering new ideas about improving them. Eno and Schmidt’s Oblique Strategies (1975) are considered in Part 2 of this post. There are some parallels with Goffman (1959): see this paper for a discussion of relevance to design for behaviour change. 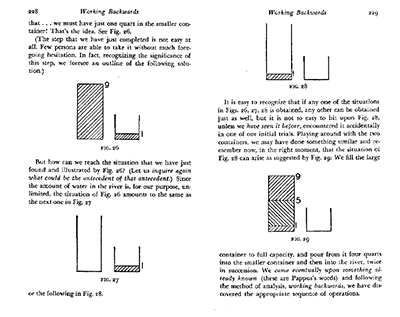 Another more general method, Morphological Analysis (Zwicky, 1969; Ritchey, 1998) may be relevant here. It “is a method for identifying and investigating the total set of possible relationships or `configurations’ contained in a given problem complex” (Ritchey, 1998, p.3), dividing a problem into “major parameters, components or problem dimensions and then systematically allow[ing] the user to identify all the combinations possible with those elements… [and] find all the theoretically conceivable solutions to a problem” (Jones 2003, p.130). Elias (2009) used a Morphological Chart to generate concepts for redesigned refrigerators. Straker and Rawlinson (2002) suggest a range of other verbs which could be used to extend the process, similar to the (longer) lists used in methods such as Synectics (e.g. Nolan, 2003). An additional aspect is Simon’s (1969/1981) suggestion that “[i]n problem solving, a partial result that represents recognizable progress towards the goal plays the role of stable subassembly” (p.206), and that “[o]ne way to solve a complex problem is to reduce it to a problem previously solved—to show what steps lead from the earlier solution to a solution of the new problem” (p.226). Hence, perhaps, the joke: “A mathematician wants to read a book, but the room he is in is dark, and the light is off. In order to read, he turns on the light. The next day, the mathematician wants to read a book, and the light is on in the room. He first turns off the light, reducing the problem to the one he solved the previous day”. Hey and Agogino (2007) studied the use of metaphor across the entire design process, including extracting and coding designers’ use of terms such as “bounc[ing] ideas off each other”. In particular, one of their codings has some parallels with the scamper methodology discussed above—the idea that “Problems Are Objects: They can be assembled, viewed from a different angle, divided, decomposed, be hard, big, well-structured or ill-structured, transformed, patterned, complex, broken down into sub-problems, refined, clarified, broken into parts, and stable” (p.6). Of the 40 TRIZ Inventive Principles, a number which could potentially be more easily applied to behaviour have—indirectly—inspired or influenced patterns in the Design with Intent toolkit. In particular, by the stage of DwI v.1.0, SEGMENTATION, ASYMMETRY, PARTIAL OR EXCESSIVE ACTION and FEEDBACK are all represented in some form, though usually not described in quite the same way as in TRIZ. Pickering (2010, p.176) links Gregory Bateson’s concept of the double bind (see here for its design for behaviour change context) to the idea of the Zen koan, an apparently self-contradictory, paradoxical or unresolvable question or statement. It is intriguing to consider the possible parallels with contradictions in TRIZ. Alexander, C (1964). Notes on the Synthesis of Form. Harvard University Press, Cambridge, MA. Altshuller, G. (1994). And Suddenly the Inventor Appeared. Technical Innovation Center, Worcester, MA. Buchanan, R. (1992). `Wicked Problems in Design Thinking’. Design Issues 8 (2), 5–21. Conklin, J (2009). 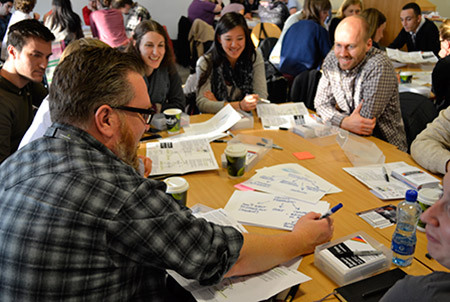 `Building shared understanding of wicked problems’. Rotman Magazine, Winter 2009, 16–20. Craig, S, Harrison, D, Cripps, A & Knott, D (2008). `BioTRIZ Suggests Radiative Cooling of Buildings Can Be Done Passively by Changing the Structure of Roof Insulation to Let Longwave Infrared Pass.’ Journal of Bionic Engineering, 5(1), 55–66. Diehl, M. & Stroebe, W. (1987). `Productivity loss in brainstorming groups: Toward the solution of a riddle’. Journal of Personality and Social Psychology, 53(3), 497-509. Elias, E.W. (2009) `User-Efficient Design: Improving the Energy Efficiency of User Behaviour. A Behaviour Design Case Study: The Domestic Refrigerator’. University of Bath, Department of Mechanical Engineering. Furnham, A. (2000), ‘The Brainstorming Myth’. Business Strategy Review, 11: 21—28. Gadd, K (2011) TRIZ for Engineers: Enabling Inventive Problem Solving. John Wiley, Chichester. Hey, J H G (2008) Effective Framing in Design. Doctoral thesis, University of California, Berkeley. Jones, E. A. & Harrison, D. (2000) `Investigating the use of triz in Eco-innovation’. TRIZ Journal, September 2000. Osborn, A.F. (1953) Applied Imagination. Scribner’s, Oxford. Rosenman, M. A. and Gero, J. S. (1993). `Creativity in design using a design prototype approach’. In: Gero, J. S. and Maher, M. L. (eds), Modeling Creativity and Knowledge-Based Creative Design. Lawrence Erlbaum, Hillsdale, NJ, 111–138. Saffer, D (2005), The Role of Metaphor in Interaction Design. Master’s thesis, Carnegie Mellon University. Seelig, T (2009). What I Wish I Knew When I Was 20: A Crash Course on Making Your Place in the World. HarperOne, New York, NY. Straker, D & Rawlinson, G (2002). How to Invent (Almost) Anything. Spiro Business Guides. 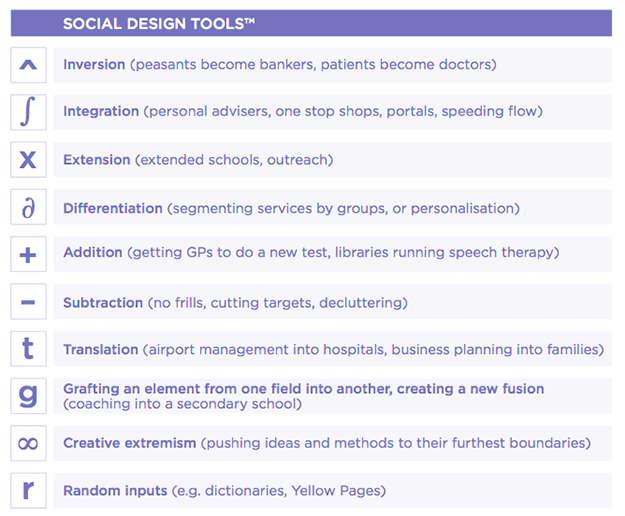 Great article on ideation tools, very neat. Will be waiting for the second part!